When will be Tiki and Tierney next episode air date? Is Tiki and Tierney renewed or cancelled? Where to countdown Tiki and Tierney air dates? Is Tiki and Tierney worth watching? 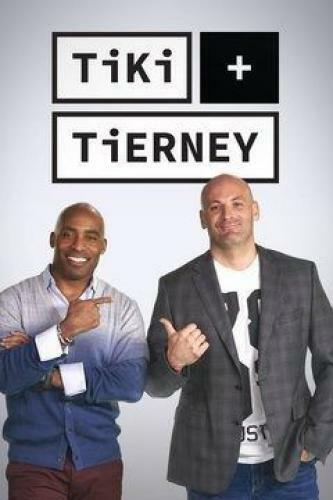 Tiki and Tierney is a Sports Talk show that originally aired on CBS Radio but it will now be simulcast on both CBS Radio and on the CBS Sports Network. Tiki Barber and Brandon Tierney tackle the top stories in sports. Former NFL Pro Bowl running back Tiki Barber and radio and TV personality Brandon Tierney tackle the day's top sports stories and interview the biggest names in sports. Tiki and Tierney next episode air date provides TVMaze for you. EpisoDate.com is your TV show guide to Countdown Tiki and Tierney Episode Air Dates and to stay in touch with Tiki and Tierney next episode Air Date and your others favorite TV Shows. Add the shows you like to a "Watchlist" and let the site take it from there.